When thinking about an all-round journalism professional, Sherry Robinson’s name comes to mind. She is a columnist for rural New Mexico newspapers, she has been a newspaper reporter, public relations professional, is working on her fourth book and is a freelance writer. She has been an active member of NFPW and her New Mexico affiliate for 38 years. She is an asset to both organizations. Meet this unique and unbelievable member. 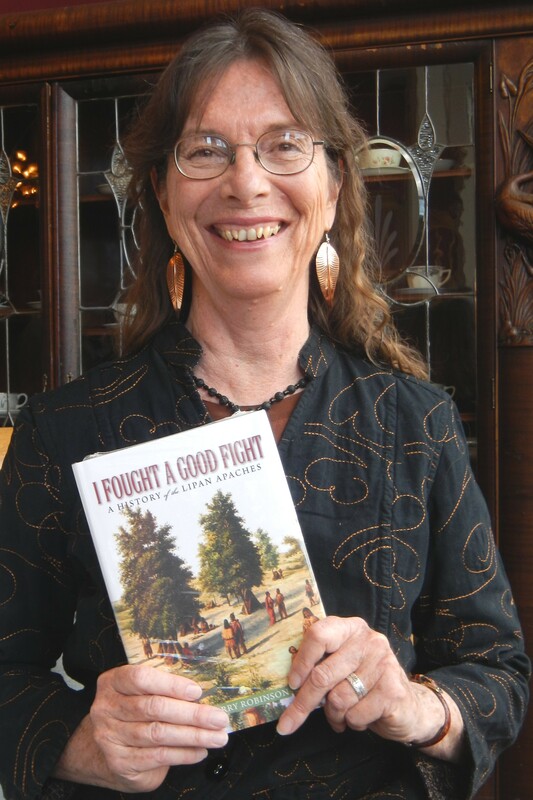 Sherry Robinson at the Historical Society of New Mexico when she won the Dominguez Award for her book. My friends are all retired, but I don’t want to retire and am busier than ever. (I wouldn’t mind being less busy.) Oddly enough, I’ve been doing the most challenging investigative work of my career and find that I use all those years of experience. And at this age (67) not much scares me. My second hat is columnist in my own small syndicate, which survived the recession. Three friends and I provide opinion columns to rural New Mexico papers. My third hat is historian and speaker. I speak around the state on Apaches and have written two books about them, plus another on western New Mexico. I’m working on the fourth book. My books are always adventures as well as journeys, and I treasure the friends I’ve made along the way. I’ve mostly been a newspaper reporter and editor but have also done corporate and university PR and have freelanced for the last 12 years. 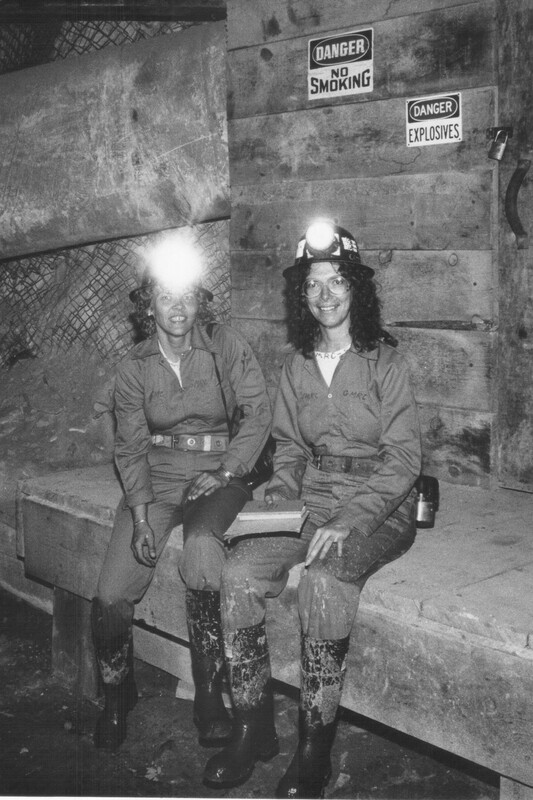 Sherry Robinson and photographer Alex King deep in the Chevron uranium mine, in the mid 1980’s, while working as a reporter for the Albuquerque Journal. I’ve never wanted any talent other than the one I have, which is to write. It might be nice to also be an illustrator. In the mountains of southwestern New Mexico. I always seem to have multiple books going, usually nonfiction history. I just finished “From Cochise to Geronimo” by my friend Ed Sweeney. I’m in the middle of “Blood and Thunder” by Hampton Sides. Waiting on the runway are “Spider Woman’s Daughter” by my friend Anne Hillerman and “The Bully Pulpit: Theodore Roosevelt, William Howard Taft, and the Golden Age of Journalism” by Doris Kearns Goodwin. I’ve been a ski bum in Aspen and a back-to-the-land hippie in western Colorado. I still can tomatoes and make jam every year. Friendships, friendships, friendships. Networking is over-rated. Only a friend will babysit your kid when you have to go out of town, buy you a beer when you’ve just been canned or give you an attagirl when you really need it. Well, uh… This year’s to-do list includes a website. I’m on twitter and don’t use it now but will during the legislative session. I’m an irregular Facebook user. This entry was posted on January 11, 2015 at 10:48 AM and is filed under Uncategorized. You can subscribe via RSS 2.0 feed to this post's comments.